I don’t know about you but I’m so ready for 2017. I’m ready to push on with my life and move on to bigger and better things. 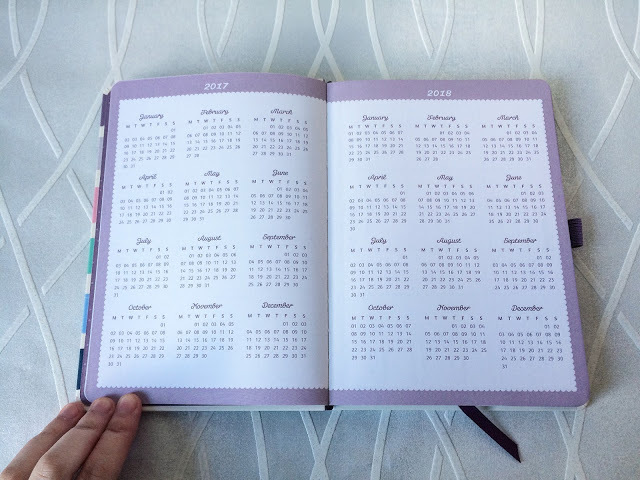 Being organised is a great way for me to get my head in the right place and currently I’m getting my plans sorted for the whole of December and beyond. Although I have approximately 100 planners/diaries (slight exaggeration but not by much! ), I jumped at the chance to review one when I got the opportunity too! 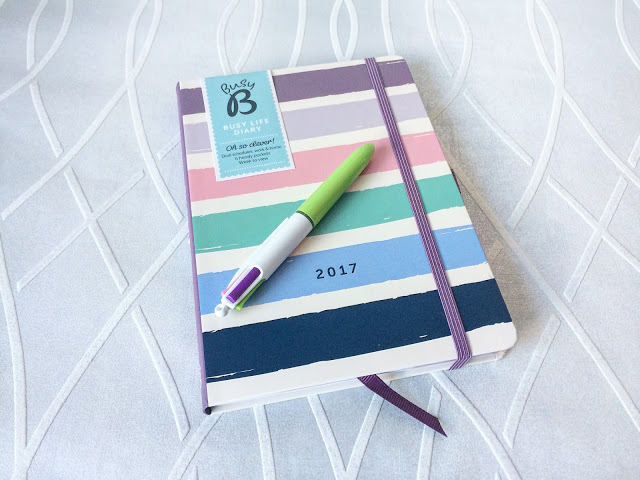 When I saw a post on Twitter looking for bloggers to review a 2017 diary, I knew I had to apply. Much to my excitement, I was lucky enough to receive a design on my choice. I decided to pick this week-to-view planner as it means I can leave it in my bag. The plan is to use this as my out-and-about diary to jot down work shifts, appointments, meals out and gym classes. I’ve never had a diary from Busy B before so I was intrigued as to what it would look like inside. 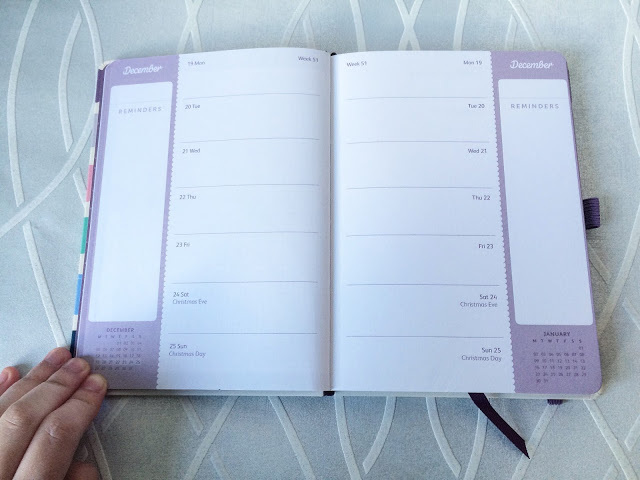 The size of the planner is perfect for a medium-sized handbag AND there is a pen loop at the side so you don’t have to rifle around your handbag to find a spare pen! 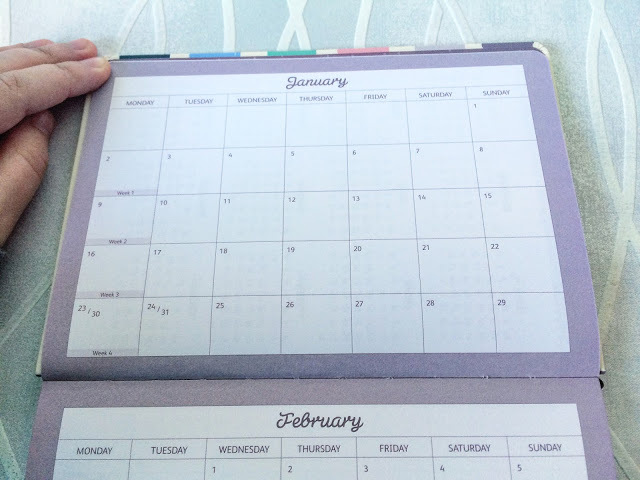 I like to have a monthly view as I tend to jot down birthdays and big events I have during the month. I tend to colour code everything too. Work shifts in red, rugby fixtures in black etc. Note sections are always great in case you don’t have any paper with you when you’re out of the house! I like that it’s a grid effect (reminds me of school maths books!). Because of the double week-to-view layout, I’ve decided to use the left half for my regular week: work, social and gym. The right half will be used to jot down anything blog-related: post of the day, any promotion/scheduling to do, photos to take. I’ve yet to write in this diary as I’m still currently planning #blogmas so next year will have to wait a little longer! If I don’t write things down though, I will forget so I will be making use of this planner soon enough! 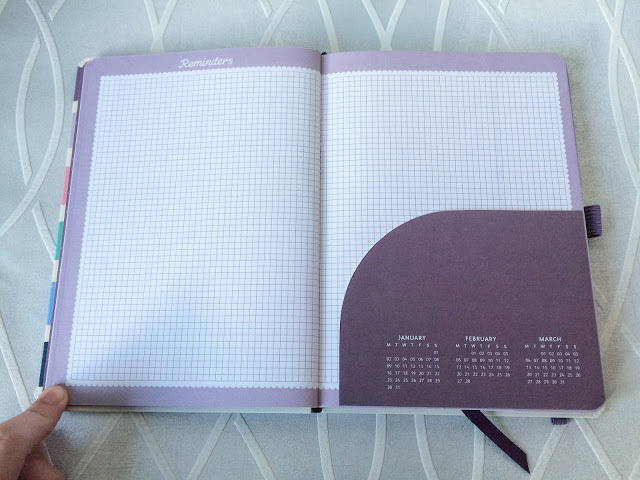 You can find this diary on the Busy B website right here! 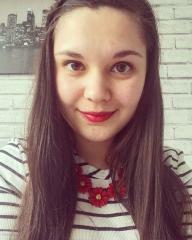 Would you like to see an update in a month or so when I start to use it? Leave a comment below! *This product was sent to me to review but all opinions are my own!